Shane and Brandon are Fun In The Sun Weddings newest Newlyweds! Mother Nature was feeling a little grumpy and uncooperative on their wedding day, but thankfully she smiled on them at the moment they said “I Do!” with their toes buried in the sand, allowing this lovely duo their dream of getting married on the beach Tulum at one of the best places to get married in Mexico: Ak’iin Beach Club! After three years of dating, and building a life together that includes a cat named Scout, and a dog named Moose, Shane had an inkling that a proposal might be on the horizon. Especially when she and Brandon left for a two week European tour that included the Tomorrow land music festival, and ended in the city of Love; Paris. Shane and Brandon decided that a destination wedding with only their closest friends and family was just their style. Shane tells us about shopping for wedding dresses for the beach. Everyone held their composure on the rainy wedding day, even in the presence of relentless tropical storms. Shane and Brandon’s top priority for their destination wedding was for their wedding guests to have a great time, at an awesome party, in a beautiful location. Shane and Brandon, it has been an absolute pleasure working with you, and we wish you every happiness as you start this next chapter of your lives together. Congratulations! 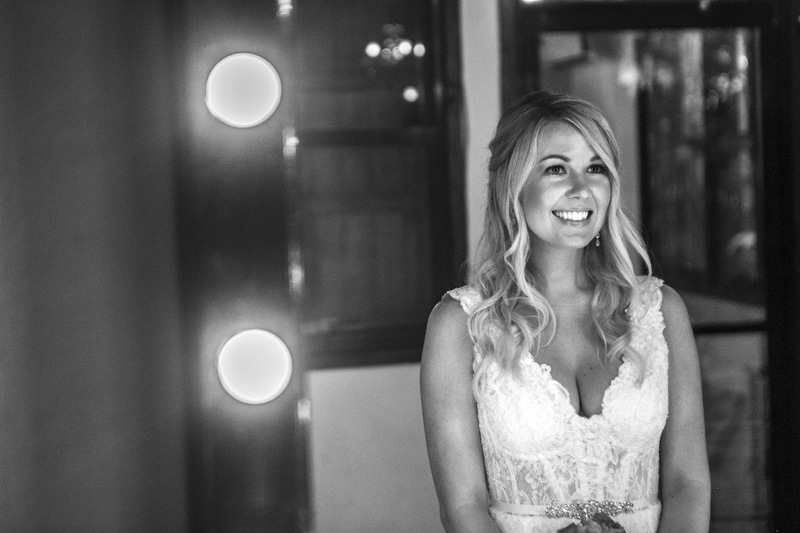 If you are looking for the best Tulum wedding photographer, contact us today! 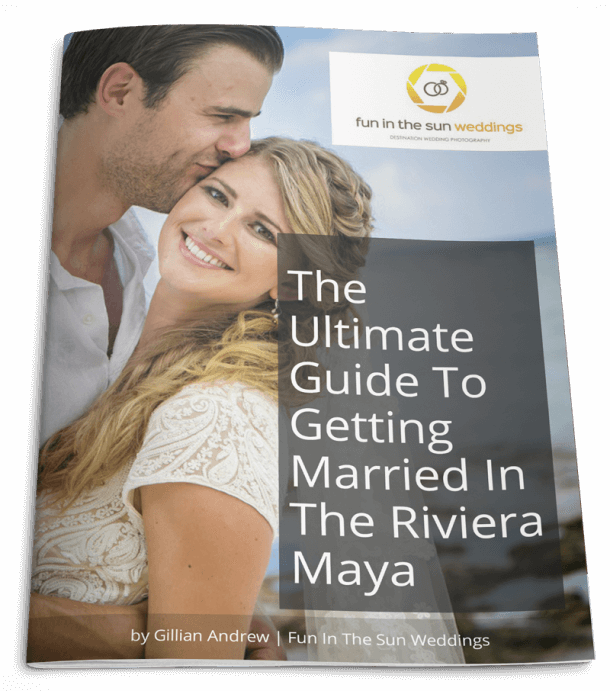 We are Fun in the Sun Weddings, the best wedding photographers in the Riviera Maya. 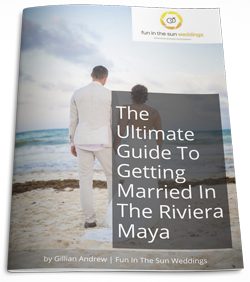 Read this next if you want to know why you should consider an Ak’iin Beach Club wedding! So fun! My family and friends had a blast with Marc, the photographer!